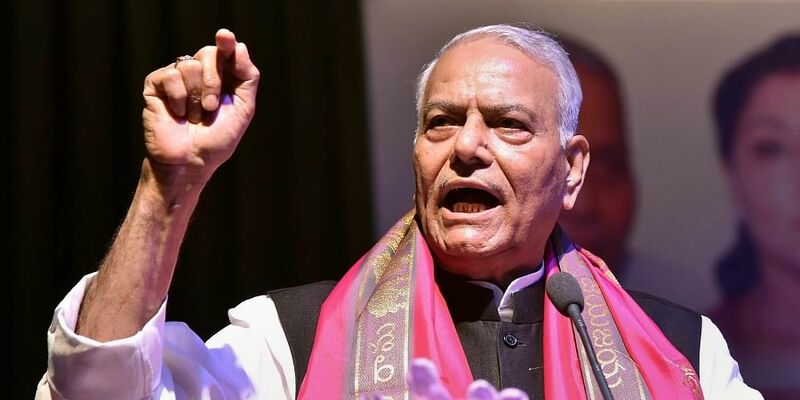 NEW DELHI: Former BJP leader Yashwant Sinha threw his hat in the race for prime ministership on Monday when he declared himself as the "closest" person who could deliver on job creation, building roads, townships and industries. India needs a leader who can make agriculture profitable and set up irrigation projects, townships and industries, he said. "We have to do a lot of work in this country. We will have to find somebody who is prepared to buy this theory and start doing it," he said. Asked who was closest to deliver all this, he said, "The closest is me, myself, what I am," leading to laughter in the audience of the event hosted by the channel. About speculation on whether Gadkari would succeed Modi, the disgruntled former BJP MP said, "There is no hope in hell for that.
" Sinha said what he is saying is "because I know the kind of vice-like grip the current prime minister and the party president have over the BJP and even after the loss in elections where they could be below 200, they will not retire from their leadership." "It is a very fond hope that some media people are nursing that Gadkari might succeed Modi," he said, negating the possibility. Will he win a Lok Sabha seat in the 2019 election.?? Without it and in the event of he lossing there is no chance of he entering RS as he has no one even to sponsor. Arrogant and over greed has made him desperate and had affected his thinking about the reality and what is his political status at the present scenario.